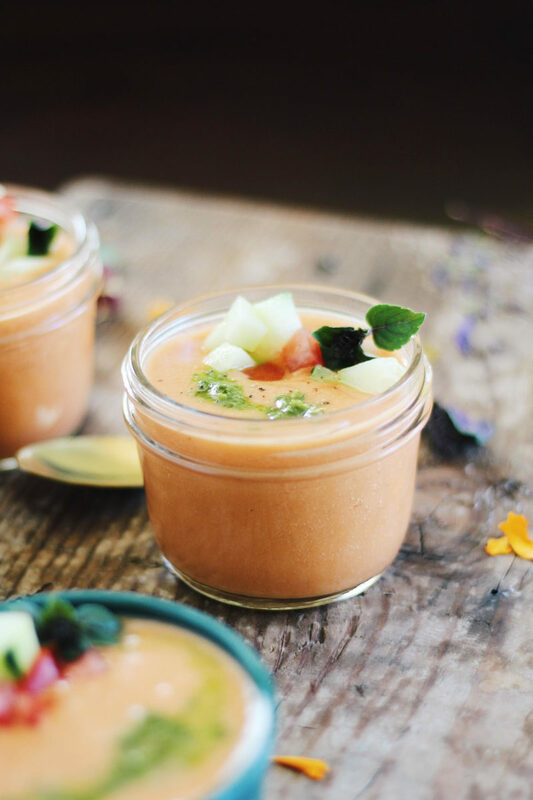 This Bone Broth Gazpacho is the perfect no-cook summer lunch or appetizer. 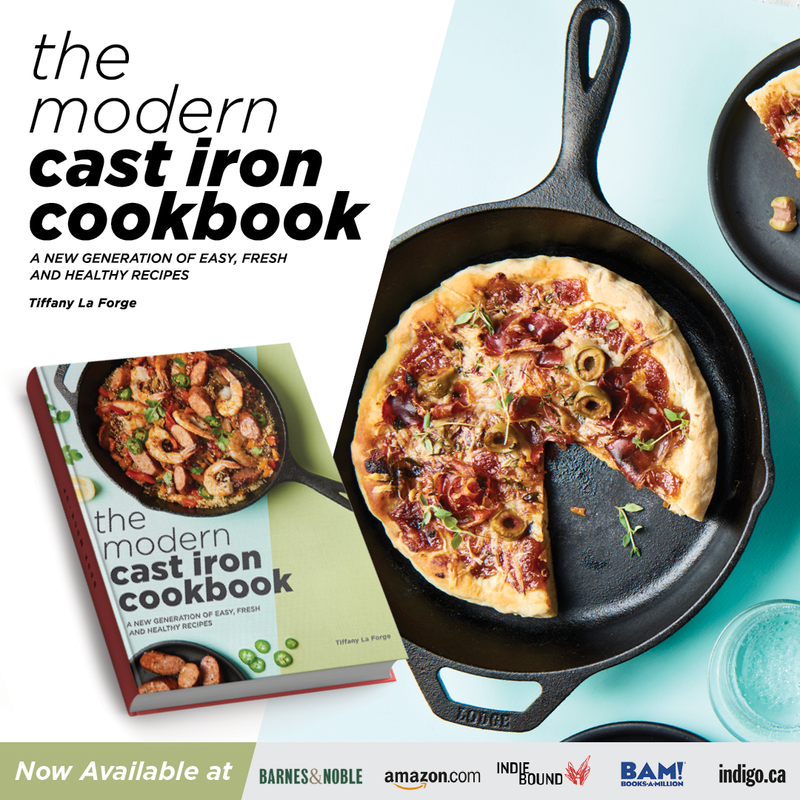 Rich in protein and topped with a fresh herb pesto, it is also Whole30 compliant, paleo, and gluten-free. Gazpacho, naturally, always reminds me of the summer. The first time I had gazpacho, I was wandering around a local night market when I lived in San Diego. One of the restaurant owners was outside, doling out tiny cups filled with velvety smooth orange gazpacho. It was delicious, especially on a very humid summer night. I didn’t even know I would like gazpacho until then. Cold tomato soup just never sounded appealing to me. But it’s really not just cold tomato soup. It’s fruity olive oil. 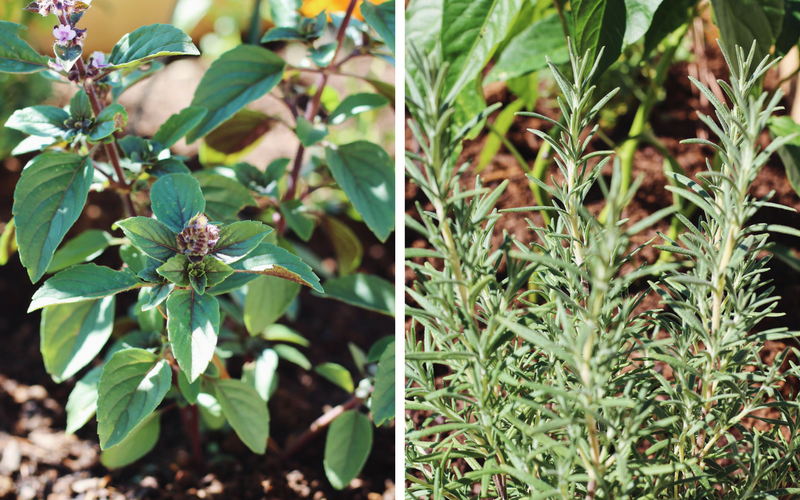 Fresh, fragrant herbs. Garlic. Vinegar. Onions. Fresh cucumbers or red peppers. Possibly a bit of citrus. It tastes like eating an entire summer garden in a bowl. And that’s just the bases. You could add anything you wanted to gazpacho, really. Some jalapeño for heat. A bit of corn or pine nuts for texture. Sliced avocado for added creaminess. The options are endless. Gazpacho is made in many different ways. Some swear by using bread, some credit a good gazpacho to copious amounts of olive oil. Some like it to be chunky, and others like it to be completely smooth. Some add tomato juice, and some wouldn’t dare add tomato juice. Me? I keep it simple. 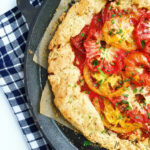 Choose delicious, ripe (preferably picked from your garden) tomatoes and vegetables. Blend it with other delicious things until it tastes good. And I knew that I also wanted to make it with bone broth. While most commonly tomato juice is added to gazpacho, the addition of bone broth gives it a wonderful savory flavor and a protein kick. 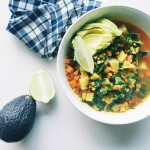 For this bone broth gazpacho, I used one of my absolute favorite brands, Bare Bones Broth. Their organic bone broths are made with quality and care, containing 100% grass-fed beef or organic chicken. They source fresh organic vegetables and herbs for their broths, which contain no added preservatives or flavorings. They’re Whole30 approved and come in these perfect little pouches ready for sipping (which happen to be BPA-free and eco-friendly, too). Bone broth is so good for you. It’s loaded with protein, amino acids, calcium, potassium, and vital nutrients and vitamins. And the benefits are aplenty. Bone broth is great for your joints, it boosts the immune system, improves digestion, and is said to work wonders for skin, nails, and even cellulite. 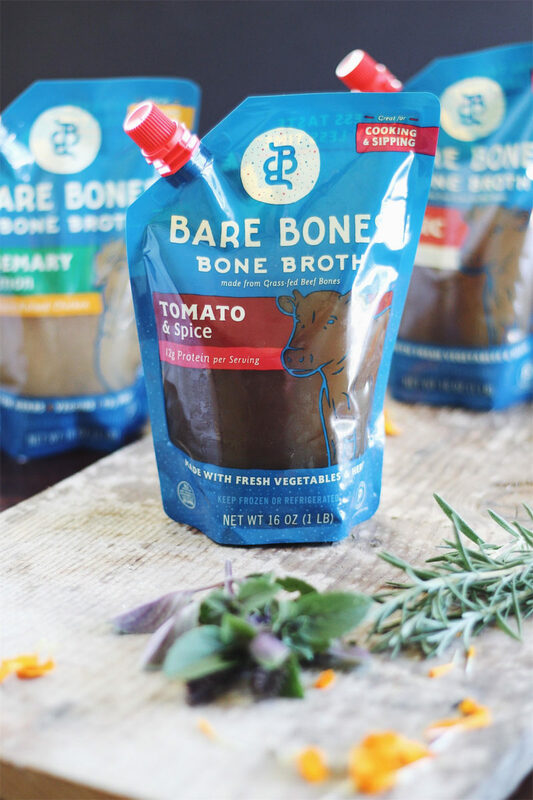 I especially love Bare Bones Broth because they offer some delicious flavor options, including the Tomato & Spice that I used in this bone broth gazpacho. This flavorful, savory broth is infused with organic vegetables, herbs, coriander, and clove. 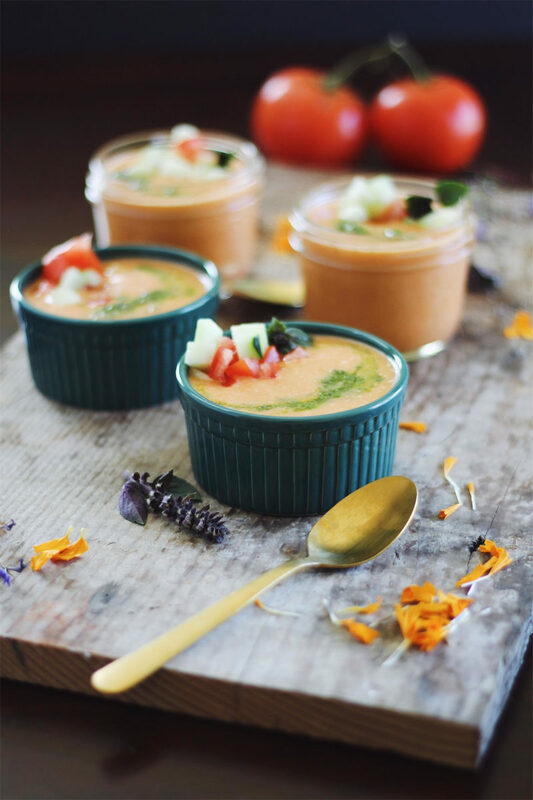 The creamy, peachy-pink soup is a perfect combination of rich broth, fresh tomatoes, cucumber, sweet peppers, aromatics, and a bit of acidity. 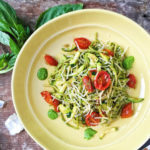 It’s even better topped with a fresh, bright herb pesto. My garden is growing purple basil and rosemary like mad, so I used them along with parsley. But your favorite herb combination will work. 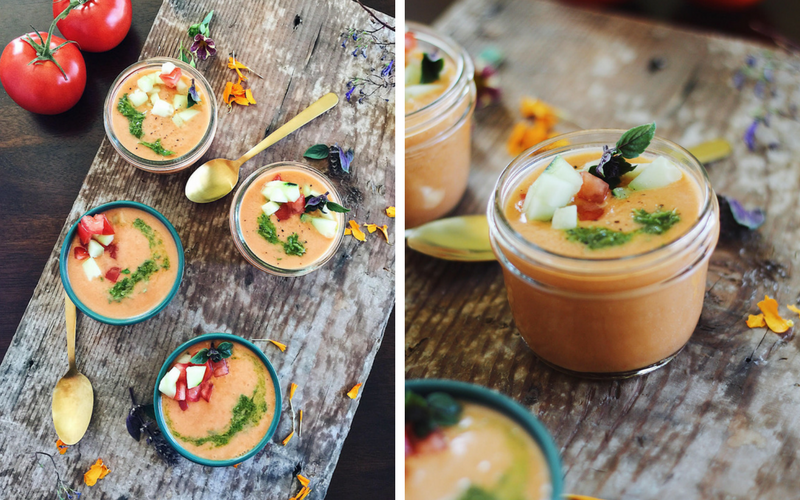 Make this gazpacho the night before you plan on serving it. It’ll taste so much better with a little time. 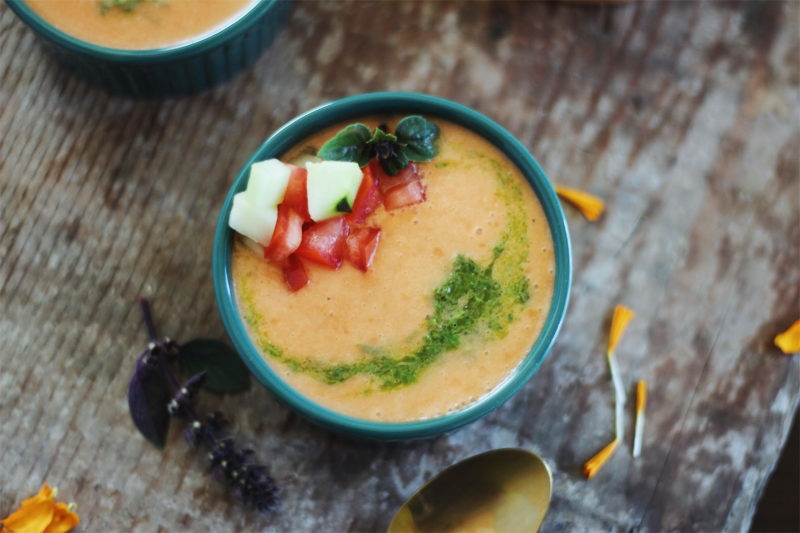 I hope that you enjoy this healthy no-cook summer Bone Broth Gazpacho with Garden Herb Pesto! 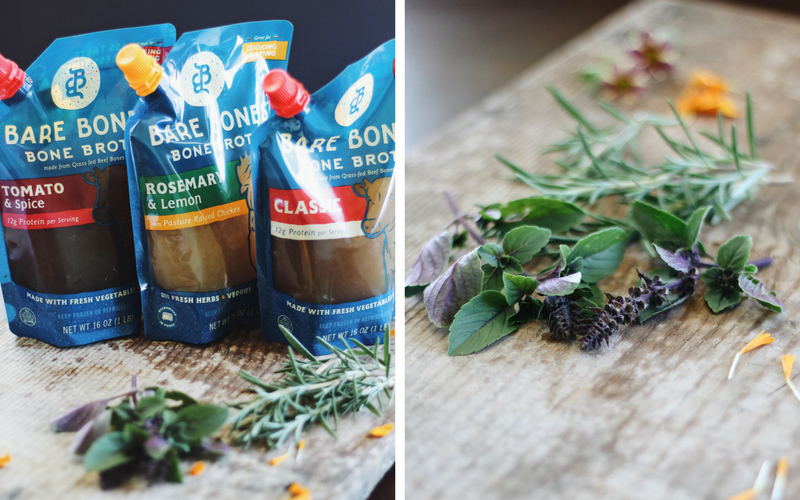 Check out Bare Bones Broth for quality, delicious organic bone broth. Are you a fan of bone broth? Let us know in the comments below. This post is sponsored by Bare Bones Broth. Working in batches if necessary, blend the tomatoes, cucumber, shallot, peppers, and garlic in a blender until smooth. Add the bone broth and blend until desired consistency. Use less bone broth for a thicker soup. Blend in the vinegar and lime. Season to taste with sea salt and pepper. With the blender running, slowly pour in the olive oil to emulsify. Strain the gazpacho through a fine mesh strainer and chill at least 4 hours, preferably overnight. Make the herb pesto. Place all of the ingredients in a food processor and process until completely combined. When ready to serve, top the gazpacho with diced cucumber and tomato and drizzle the herb pesto. Enjoy! Wow it looks healthy and delicious at the same time. I can’t wait to serve this to my family. Thanks for sharing your recipe. Yummy! My mouth just watered. THIS definitely has my nam written ALL over it. Looks insanely delicious! I need a few CUPS of it! I have a visitor over the weekend and I guess this will suit for her. I hope I can make this successfully. I am not sure if I can copy the garnishing too as I am not very artistic but I hope so. Wow these are so convenient for making really delicious soups without having to stay in the kitchen all day. 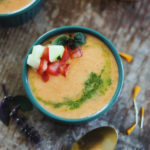 This gazpacho soup looks so good. This sounds and looks amaaazing! I am such a fan of soups, and summer kind of messes with that, lol. I am definitely trying your recipe! 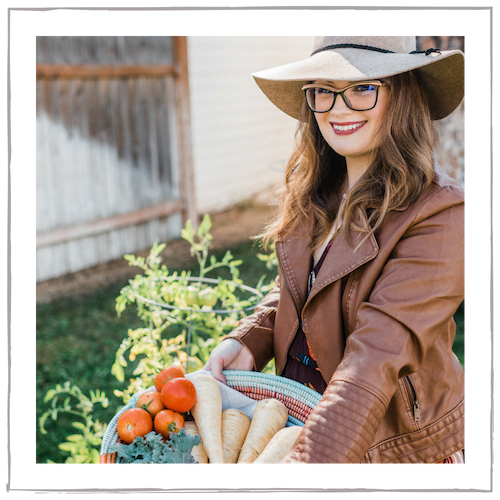 Good for you on the Whole30 journey! It was fun when I did it. This looks like a delicious option! 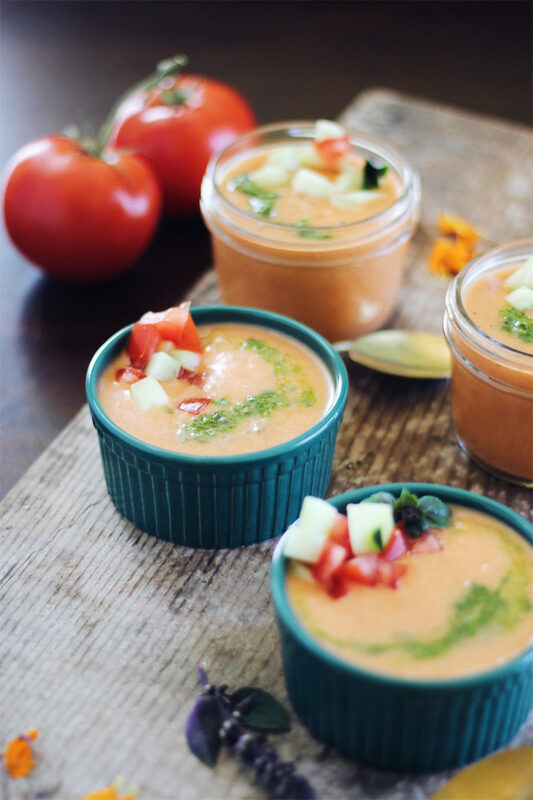 Gazpacho is one of my favorite summer dishes! I have tried a lot of them in the restaurants but the homemade is the best! This looks really good! I bet my kids would love this! GEESH! This looks amazing! I will try this for sure. These look so good! Thanks for this awesome recipe, I need to try it out some time soon. This looks delicious! And like something my whole family would like. Such an easy and delicious recipe with all the healthful ingredient like herb and bone broth. Vietnamese cuisine often uses bone broth to cook soup or to stew meat so that the food tastes more flavorful. I would make this for my mother. Thanks for sharing your amazing recipe! So happy you enjoyed this! 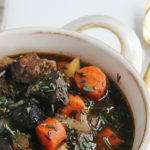 I agree adding bone broth adds a ton of savory flavor to dishes, I wouldn’t dare use regular broth anymore! This looks seriously so good. I keep reading the great health benefits that bone broth has. I think I totally need to try and make this. 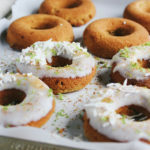 So delicious and easy to make. I hope you do try it! Bone broth is so good for you, and has tons of protein. This looks delectable! I love to add herbs in soups. It brings up more flavor. Will definitely try this recipe. I keep hearing good things about bone broth. 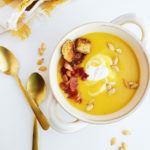 Your summer soup sounds absolutely delicious for warm weather! Yay! So happy Tiffany (by the way: great name! haha) I hope that your family loves it. And as always, these photos are really amazing!